I have been a Certified Massage Therapist for over 2 years, working on everyone from athletes to accountants, people in pain to people looking to relax; dancers, artists, cooks, real estate agents, yoga instructors, musicians, etc. I played in a band that toured across the US, Japan, and Australia, and know how stressful tour can be on the mind and body. I specialize in Myofascial Release, Deep Tissue, Neuromuscular Therapy, Swedish/Relaxation, Trigger Point Therapy, Sports Massage, Aromatherapy, Reflexology, Hot Stone Massage, and Craniosacral Therapy. I look forward to helping you find relief on your way to wellness. Hello! My name is Angela. I am constantly told by new clients that my massage was the best they have ever had, and that I have a great, healing touch. I can go as deep or as light as necessary to suit your needs. Each person is like a puzzle and I enjoy figuring out where they need work. Often times the source of pain isn’t where the soreness is initially felt. There are usually many contributing factors due to compensations. One imbalance produces a domino effect in the body and creates many more. Hi my name is Anet. 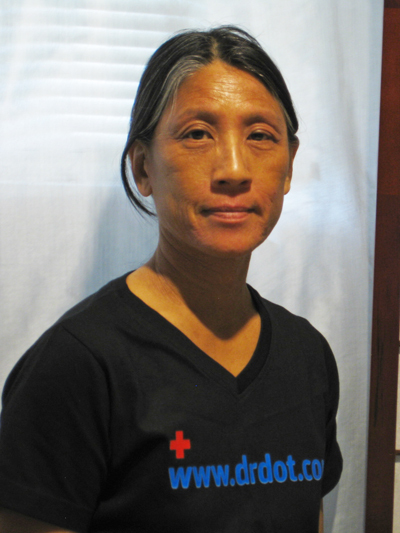 I have been practicing massage since graduating from the Boulder College of Massage Therapy 1000-hour program in 2003. I work hard to give you the massage you want and need especially if you are feeling pain, stress, tension or restricted movement. I help you feel great by using different techniques including but not limited to Trigger Point Therapy, Deep Tissue, Neuromuscular Therapy, Myofascial Release, Shiatsu, Sports and Swedish. I enjoy listening to many types of music and there is nothing better than seeing a live concert. I have so much respect for everyone that helps put on a great show from the musicians to the sound engineers to the tour manager to the stage crew. 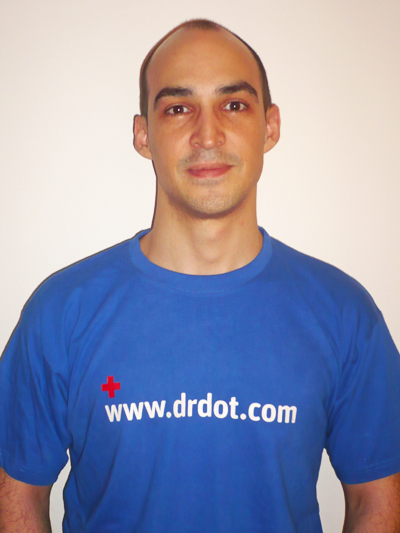 I’m a registered Massage Therapist and a graduated Physical Therapist of the UEM University in Madrid, Spain. I work in Madrid where I bring 10 years of experience into my practice. I offer therapeutic massage blending with different techniques and approaches I am qualified as Sports Massage, Deep Tissue Massage, Neuromuscular Therapy, Trigger Point Therapy, Cyriax (deep transversal massage), Craneo-sacral Therapy, miofascial release. Apart from the Massage therapies, I’m an expert on TMO (Manual therapy), Structural Osteopathy, DLM (Vodder method) and acupuncture. And I have knowledge of therapies such McKenzie, Mulligan Method. I’m easy going, professional and I treat people with respect. I’ve worked with sports athletes, musicians, performers and all kind of patients providing the treatment they need. 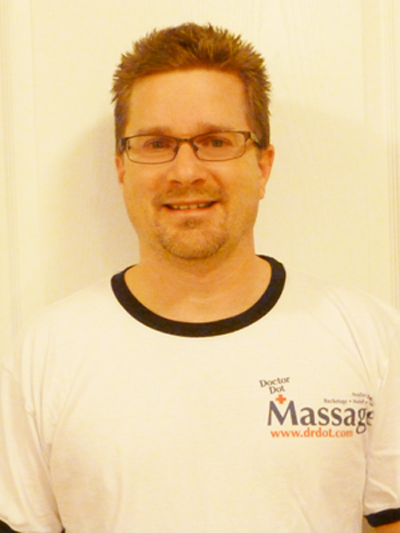 My name is Tim, and I have been practicing massage therapy since 2004. I am Nationally Certified and have over 1000 hours of training from the Golden Institute of Massage in Golden, Colorado. I specialize in Deep Tissue, Neuromuscular Therapy, Swedish and Sports Massage and have also been trained in Active Isolated Stretching (AIS). I have worked on people from 16 to 90 and have helped people with a variety of issues from just wanting to relax to helping people rehabilitate from hip replacement surgery. My goal is to help people become more aware of their bodies and to help facilitate the healing process. I live in Longmont, CO and love to be outside whether camping, hiking, biking or 4 wheeling. My love for music make me perfect fit for this job as I have been a fan of rock, heavy metal and progressive rock music for many years. My story is similar story to Dr. Dot. 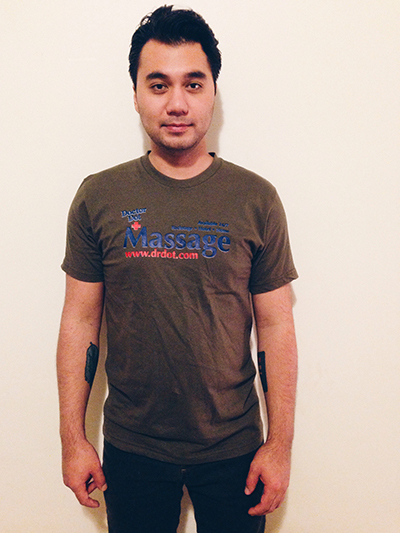 I have been doing massage since I was young and used to track bands down for autographs in my teens and early 20’s.